Summer or winter, we’ve got your pool covered. To keep your pool water warm during swimming season, Scioto Valley carries a selection of exact-diameter solar pool covers that retain heat collected during the day—the more bubbles the cover has per square foot, the better it insulates. 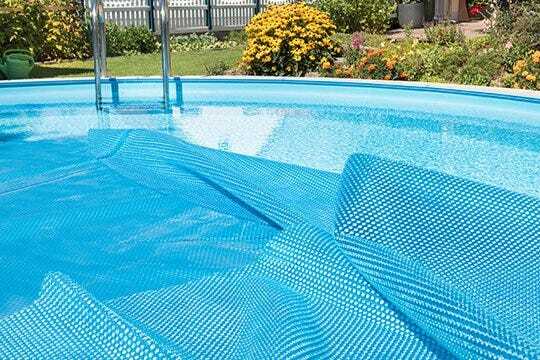 Winter above ground pool covers keep out dirt and debris, and protect the liner; these pool covers vary in thickness and are larger in diameter than the pool so they can be tied over the rails.